Incredible cinema quality at home. Now you can experience breathtakingly lifelike images at home with a 4K Ultra HD Blu-ray player paired with your 4K Ultra HDTV. Stream 4K media and play 4K Ultra HD Blu-ray Discs, or continue to watch your older Blu-ray Discs and DVDs. A UHD upscaling feature makes your standard media look better, and high dynamic range (HDR) displays brighter whites, deeper blacks, and more shades in between. Since they don't rely on a streaming network, 4K Ultra HD Blu-ray movies allow today's 4K Ultra HD TVs to reach their top picture potential. They support amazing resolutions up to 3840 x 2160. Plus, most come with a 4K Ultra HD Blu-ray Disc, a standard Blu-ray Disc and a digital copy of the movie, to help you future-proof your collection. 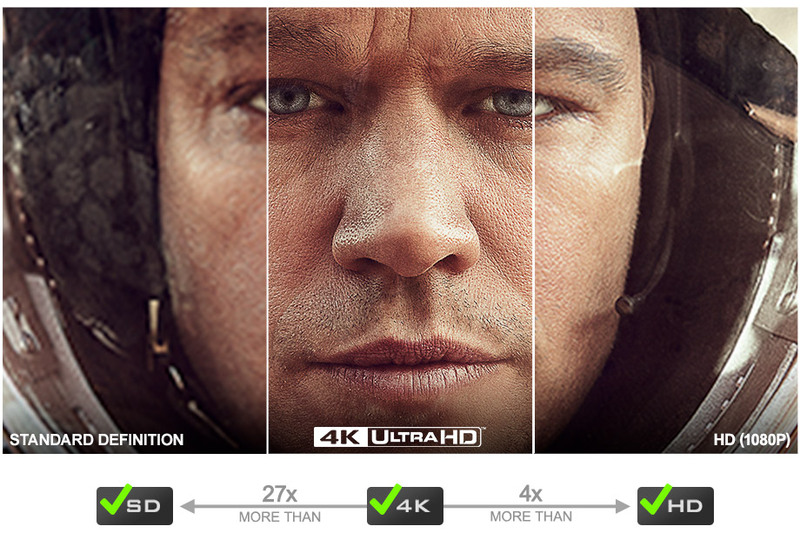 And the HDR technology built into 4K Ultra HD Blu-ray delivers oustanding contrast and shading. Supporting resolutions up to 3840 x 2160 pixels, Ultra HD Blu-ray features four times as many pixels as Full HD for a sharper, clearer image than ever before. Plus, HDR gives more shades of light and dark to make it seem less like looking at a screen and more like looking out a window. Ultra HD Blu-ray reveals more colors than you've ever seen on screen before. 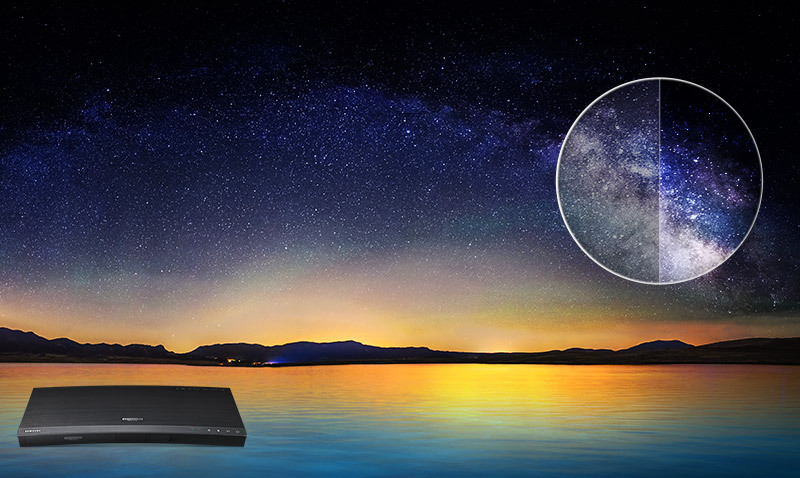 Offering more than twice the color range of current digital Blu-ray and 64 times higher color expressions, Ultra HD Blu-ray can display over 75% of the visible color spectrum. And since Ultra HD Blu-ray supports high dynamic range video, you'll also see much greater clarity and detail in scenes with high contrast. High dynamic range (HDR) delivers the details. 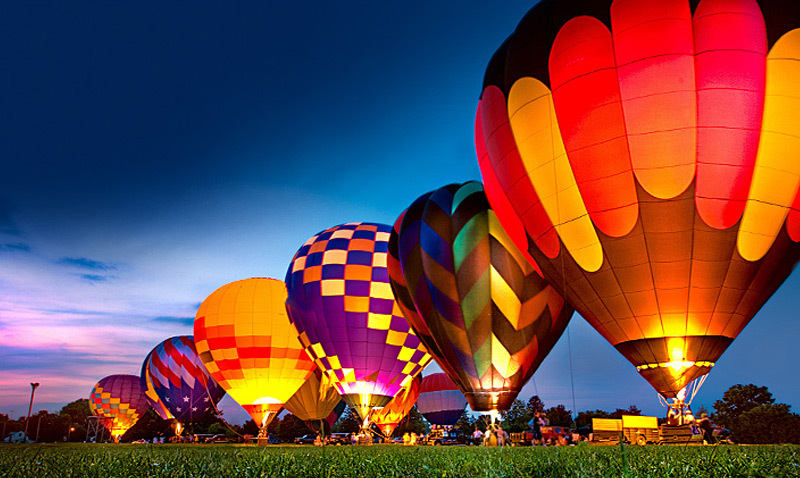 HDR allows for a greater range of color contrast and brightness, enhancing details from the original film format. This allows for a display of both the brightest bright colors and the darkest dark colors on the screen at the same time, as well as a wider range of shades in between, all creating a picture that resembles more closely what you would see with the naked eye. Content upscaling makes all your movies shine. The UHD upscaling* feature automatically refines all your low-definition content to near UHD, giving you a crystal-clear picture at four times the resolution of Full HD. Now you can watch all your favorite movies as if you are in the middle of the scene. 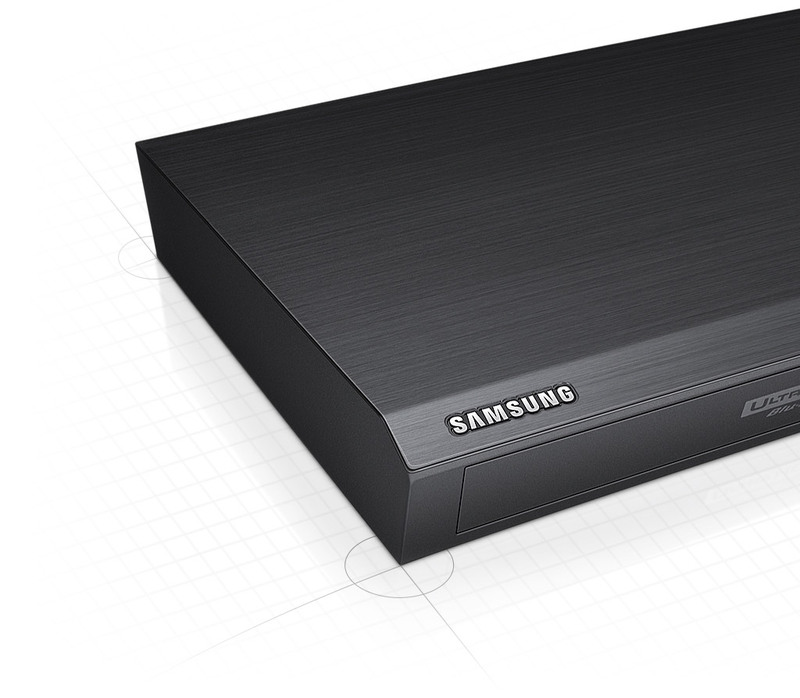 Smart Blu-ray player with built-in Wi-Fi. 4K and standard streaming options available. Watch 4K movies and shows from your favorite streaming services. Turn any TV into the ultimate home entertainment hub by streaming your favorite web and TV content, including games, movies, smart apps, and videos. Upgrading to an Ultra HD Blu-ray player lets you enjoy movies in UHD quality, but you can still watch standard Blu-ray Discs, 3D Blu-ray, DVDs and CDs. 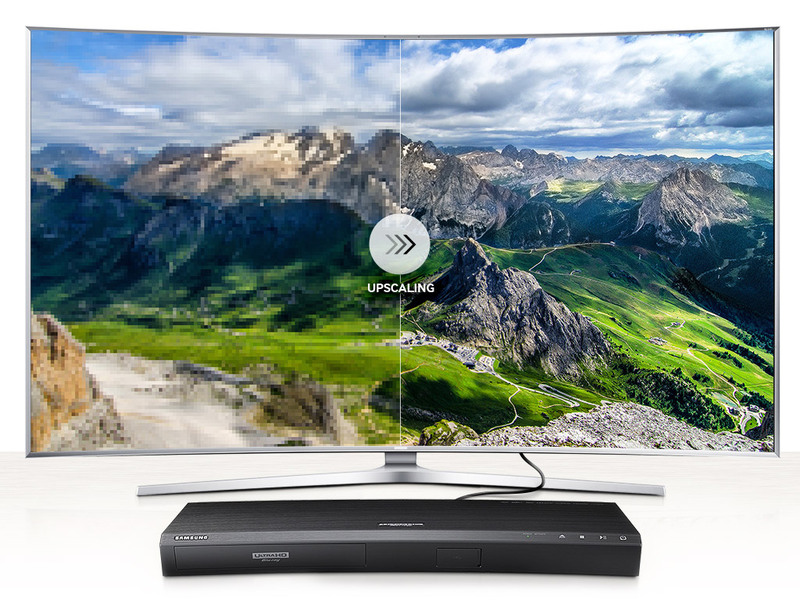 When connected to an HDTV, an Ultra HD Blu-ray player will output a standard HDTV signal.